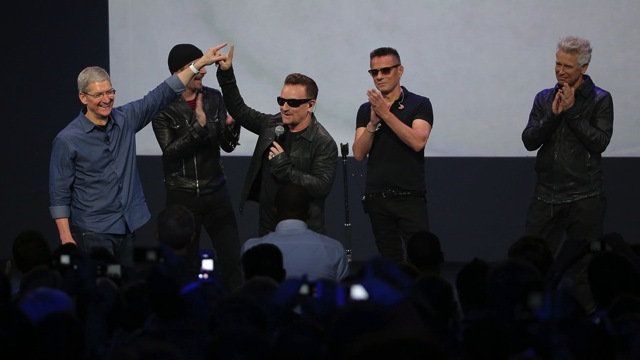 Earlier today at the iPhone 6 / iPhone 6 Plus and Apple Watch launch event, U2 performed live at the Flint Center for the Performing Arts in Cupertino, followed by a surprise announcement of their brand new album “Songs of Innocence”, which is releasing today exclusively on iTunes, as a free download for every iTunes user. 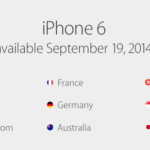 According to Apple’s press release, the entire album is available to every iTunes Store customer through October 13 as a gift from Apple. 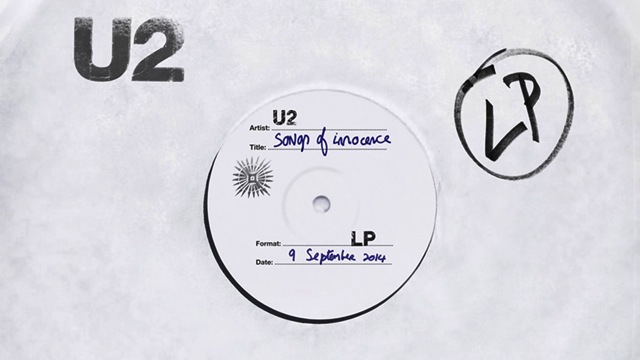 “Songs of Innocence” features 11 new songs from the band and is their most personal work to date, charting their earliest influences from 70s rock and punk rock to early 80s electronica and soul, and giving insight into how and why the band came together and the relationships in and around them, their family and friendships. Recorded in New York, London, Los Angeles and Dublin, the album is produced by Danger Mouse, along with Paul Epworth, Ryan Tedder, Declan Gaffney and Flood. So what are you waiting for? 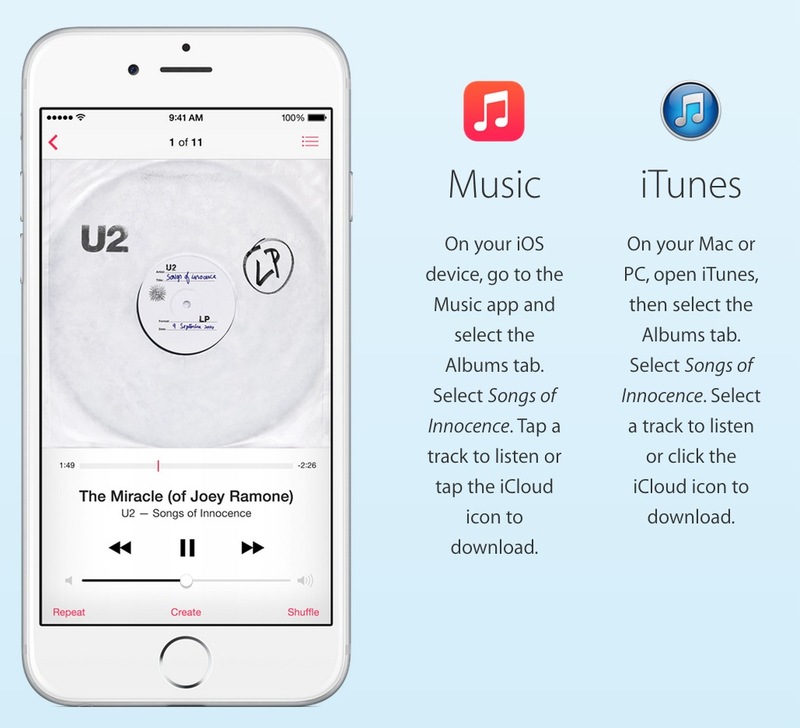 Go ahead and download U2’s entire “Songs of Innocence” album on iTunes while its free!